If you don’t know who BB-8 is, then what rock are living under? This fan-favorite new member of the Star Wars universe has become of the hottest selling merchandise of the franchise since debuting in Star Wars 7: The Force Awakens. The Sphero BB-8 Droid definitely takes the proverbial cake as the best BB-8 toy available today. At around 9-inches tall, this BB-8 is considerably smaller than the real thing, but it definitely replicates the cute droid to the letter. It is remote controlled using an app that you install on your iOS or Android phone. At full charge, this BB-8 Droid will have an hour of battery life. The Bluetooth connectivity of this toy allows you to control it as far as 30 meters. It has voice command as well and a nifty virtual hologram capability that you can see using your smartphone. I do suggest you have your kid play with this on a flat surface to prevent it from falling over. My children definitely had a blast with this and still do today. This would be a great gift as the new Star Wars movie is just around the corner. Surprisingly durable. Our BB-8 has fallen a couple of times now, and no scratch or marks are visible. Voice command feature is a fun addition. The app is a standalone program just for controlling BB-8 and no additional features are included. Maybe in the future? A great alternative to the BB-8 and at a lower price tag, the WowWee MiP Toy Robot is a fun companion for your child. The dual-balancing wheels allow the MiP to move around smoothly without any hitch. It has a responsive and highly curious personality that makes it an entertaining robot friend for your young child. I also like how it can handle the outdoor terrain. As long as it’s not considerably uneven, it has no problem gliding around the surface. My youngest son plays with the MiP along with his BB-8 almost daily. I try not to give them too much tablet time, and this is a great alternative thanks to the high-tech nature of the design. It can track objects and hand gestures and can even learn some pretty basic tasks. It reacts via the use of movements, hand gestures, and audio sounds. It actually feels like you’re interacting with an actual living thing. It has a variety of play modes for children to tinker with. It is highly interactive. Even my eldest daughter, who is not that big on robots, find the MiP a fun and entertaining toy. Once it starts moving the mechanism underneath can be a bit loud. If you want something affordable and won’t burn a hole in your pocket, then maybe you should check out the 4M Tin Can Robot toy. It’s definitely one of unique robot toys on the market today. It comes with all the necessary parts to make your own little robot companion. All you need is a tin can which is not hard to find at all. If your kid has a penchant for assembling or in mechanics, the 4M Tin Can Robot might just be right up your alley. This is a great educational toy to help get your child more interested in science, mathematics, and engineering. A highly educational toy robot that should offer your child a good challenge. Helps stimulate the development of problem-solving skills and cognitive abilities. Might be too difficult for younger children. I recommend this toy for children 7 years of age or older. Certainly, one of the most interesting and advanced robot toys for kids today. I have to admit that even I had a blast playing with this toy. Cozmo captures the feeling of an actual playful companion. The toy robot shows simulated emotions and reacts to your actions and to the current situation. The main selling point of this toy is the myriad of games you can play with it. The more games you play with Cozmo helps unlocks new fun games to play. Special upgrades are also unlocked as you interact with the toy. This is compatible with both Android and iOS smartphones. You will need to download the Cozmo app which is free in your app store. Cozmo is easy to set up and will be ready to play within 5 minutes out of the box. Highly emotive. My kid is enjoying playing this toy a lot. Even our pet dog is in on the action. Comes with a fun Adventure mode where you look at the world through Cozmo. The smartphone application is a great feature that allows you to “level up” Cozmo the more you play with him. You need the app to be open for the toy to interact with you. The 3 cube accessories are not rechargeable. You will be needing to replace them from time to time. Limited number of games at the moment. Chances you and your kids have already seen Jurassic World. It’s a cool new entry to the Jurassic Park movie series and definitely brought it back up to prominence. I would also bet that kids found the scene with the raptor training to be extremely cool. Well, my child managed to somewhat remake that scene with his MiPosaur robot toy. The toy robot simulates that of an actual curious little creature. It comes with a trackball that allows your child to control the robotic dinosaur. You can also use this trackball to play with the MiPosaur. You can order it to dance around, chase the trackball, or feed. I like to let my child experiment with this toy and learn what else he can do with it. It can be controlled via voice command, path tracing, and hand gestures. Great balance capabilities. It rarely falls down. Different modes of play and functionality. You will need a wide-open space for your child if they will be playing with this toy. Hand gesture command is sometimes unresponsive. This is something I would recommend for kids that have a penchant for tinkering with their toys. The mechanoid comes with 600 parts and features a user-friendly programming capability that can allow children to fully personalize the toy’s character. It has thousands of pre-recorded phrases and also has the ability to recognize voice command. At 2 feet tall, this is quite large. It moves using 6 motors that are attached to key points of the body. If you have a child that is quite curious about robotics, this is a good toy to satiate their curiosity and fuel their interest further in the field. Your child can experiment and customize to their heart’s content. 2-feet tall, making it considerably larger than most robot toys around. The voice recognition feature is a little rough around the edges. 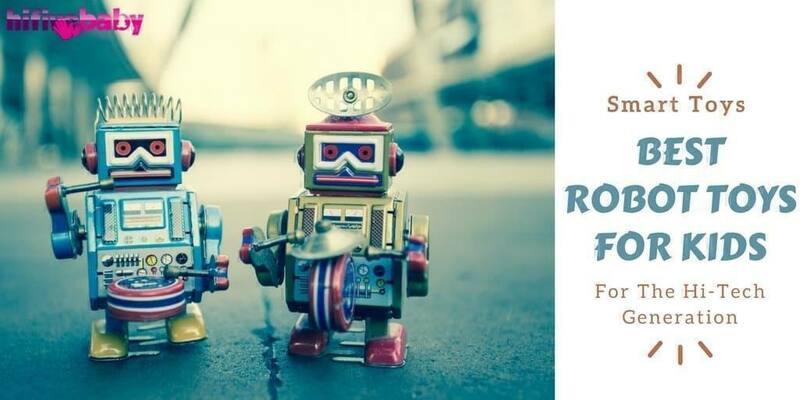 I created a list of criteria when it comes to choosing the best robot toy for children. I’ll be listing them below in order for you to make a more informed decision as to what kind of robot toy to get your kid. A toy that is designed for a 2 to 5-year-old will obviously not be an ideal gift for a child who is at around the age 12 and above. 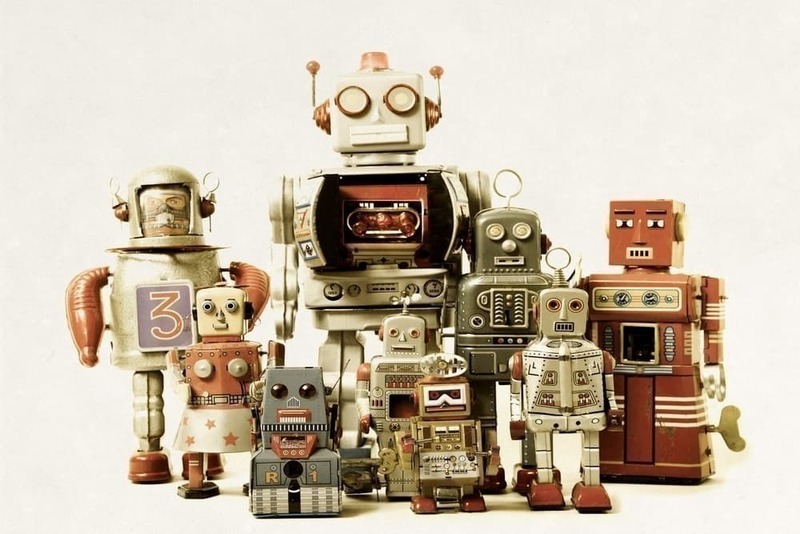 Choose a robot toy that is suited for the child’s age. 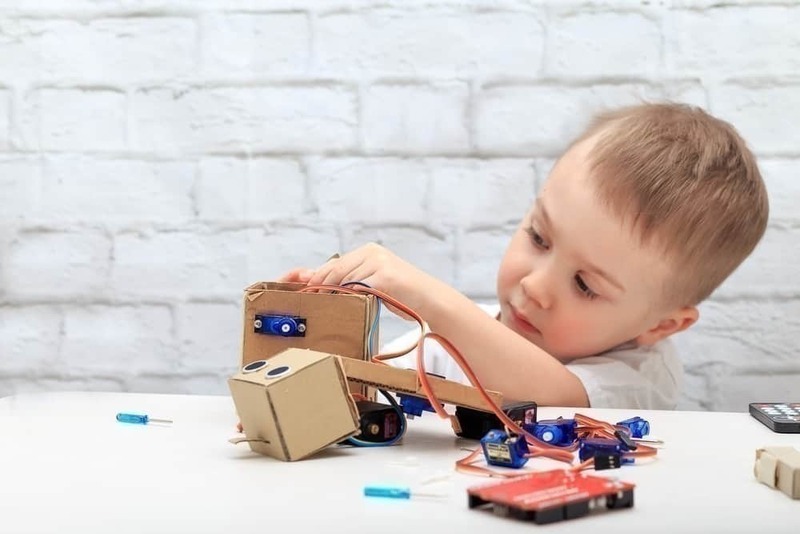 Simple robot kits for younger toddlers while more complicated robot kits for older kids. While robots are undeniably cool, there are some children who are simply not interested in these kinds of toys. During their developmental stage, try giving them an age-appropriate robotic toy and see if they are interested in them. This can help determine whether your child has an affinity for mechanics, science, and mathematics. If they’re not interested in robots, don’t force them and move on to something that they do enjoy. I always go for robot kits that offer a decent challenge for my youngest. This helps sharpen their mind while also playing. This also ensures they won’t get bored easily with the toy. Make sure that the toy is actually fun to play. Robot toys are ripe with potential in terms of nourishing your child’s imagination. I always go for a robot toy that I believe my younger self would have a blast to play for a long time as well. This will depend on your kid’s interest in this type of toy. You can easily find decent budget robot toys that should test your child’s curiosity with robotics at an early stage. If your child shows a high level of interest in robotics, then you can upgrade their toys to the more complex albeit expensive ones to further develop their skills. We are now entering a technology-focused society. What was once science fiction is steadily becoming science fact. 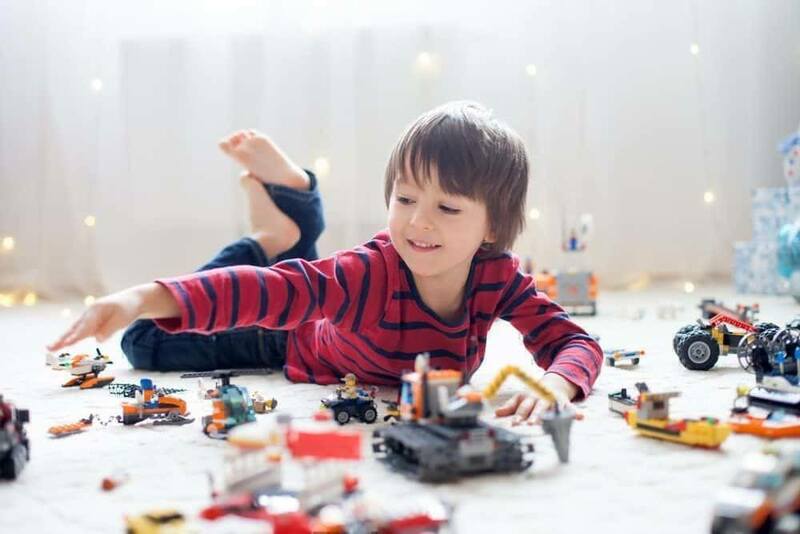 One of the benefits of robotic toys for children is that it harnesses their young minds and temper it for the technological advancements that are still to come. It is also a great way to mold and sharpen their cognitive skills, problem-solving skills, and imagination. Toys like Lego centers on creativity, this is pretty much the same with robot toys. It’s all about grasping every available element, understanding how it works, experimentation, and creation. 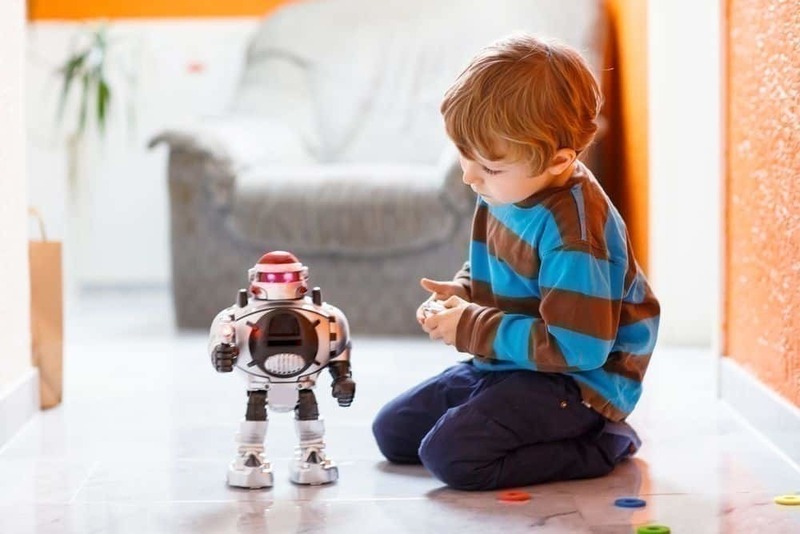 Robot toys also help children understand basic processes. For example, a robot toy with a hydraulic arm can help teach children how a human hand works. The benefits of robotic toys are immeasurable in terms of educating young minds. They are also quite impressive and fun to play with as well. Which is something that should never be lost in a child’s toy? I highly recommend that you check out the BB-8 Droid toy for a couple of simple reasons. It is a fun toy that would offer hours upon hours of fun for your child. It also features an interesting mechanism that should help pique your child’s curiosity. The price isn’t that high and it is a safe way to introduce your child to the world of science and technology. I cannot stress enough how beneficial robot toys are to still develop minds of children. It helps open up a wealth of potential in a child. Be sure to stick around as we head into 2018, new and even more fantastic toys and gadgets are sure to make an appearance as we roll into the future. If you have any thoughts you would like to share, feel free to drop by the comment section below.